For the anniversary’s celebration, the Boston Chamber Music assembled a repertoire of Debussy’s pieces with others from his fellow artists and composers Ernest Guiraud’s recitative orchestration, Maurice Ravel’s orchestral and instrumental effects and textures, Erik Satie’s phonometricity, César Franck’s ultra-Romantic, graceful modulations and expressive work, and Gabriel Fauré’s harmonic structures and coloristic meanings. Together, they ushered in a new musical age, one shaped by Debussy’s deep and pervasive influence. But it is Claude-Achille Debussy the father of musical modernism, the visionary that we hope to discover in this celebration. Ever since that languorous flute solo was first heard to create the reverie of a priapic deer in his Prélude à l’aprés-midi d’un faune in 1894, Debussy transformed European musical tradition. Debussy’s investigations of color, form, texture and feeling ushered modernism without which the vast majority of 20th century music could not have been written. Among the Debussy’s piano music pieces that the program proposes Reflets dans l’eau, La sénénade interrompue, La fille aux cheveux de lin are not their apparent real-world referents, but they are their own visions of new kinds of musical experience, harmony and time. 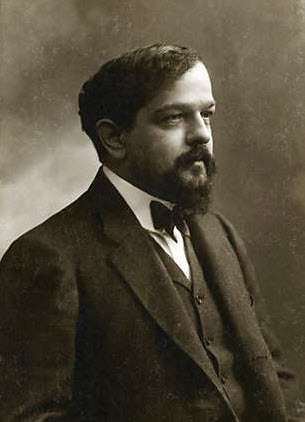 Debussy creates intense, mathematical and precise musical images and a new world of feelings not impressions. Let us join in celebrating the explorer and the visionary. The Boston Chamber Music selected a program that demands a balance of passion and self-directed anger, a blend of wistfulness and contentment. Debussy remains radical with the barely contained eroticism of his score that come seeping through the beguiling, dreamy surface in his plush, taut and boldly spacious music. 2012 Hamel Summer Series: Debussy’s 150th anniversary will take place every Saturday of the month of August at the Charles Mosesian Theatre at the Arsenal Center for the Arts.